Music and food are two defining characteristics that gives New Orleans her soul. As I write this blog on my three favorite sandwiches on the Westbank, I’m listening to Kermit Ruffins and the Rebirth Brass Band. Food and music. Growing up Cuban, a culture with food and music at the center, I feel, gives me a deep appreciation for the sounds and tastes of New Orleans. I have zero musical talent other than an appreciation for good music. And I’m no food critic, but I’m critical of everything I eat. I do have a good sense of when something is good. We all have our favorite food spots in New Orleans. Not just favorite food spots, but a favorite place for our favorite dishes. The options are just about endless in our city. So it’s bold to limit my selection to just 3 sandwiches. In fact, my list of favorite sandwiches is quite long. In the end, the top 3 are the ones I eat on a more regular basis. I really can’t believe that not one fried shrimp or roast beef po-boy made my top 3. That doesn’t mean there are not some good ones out there. I may need to do a follow up of my 3 favorite roast beef or my 3 favorite fried shrimp po-boys because there are so many to choose from. 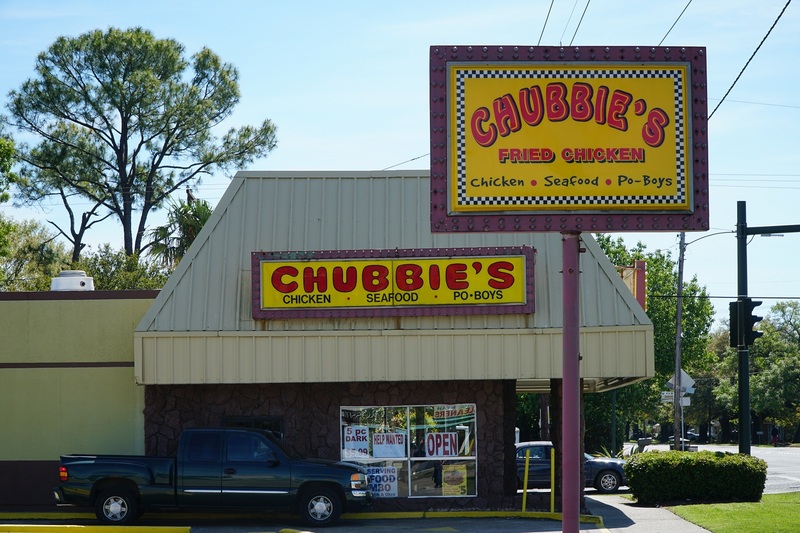 When you are ranked amongst the top fried chicken joints in the city of New Orleans, you’re doing something right. Put that fried chicken on french bread and you have one of my favorite sandwiches, not just on the Westbank, but in all of New Orleans. For all you Westbank haters out there, Algiers is New Orleans. My favorite way to eat it is dressed, no pickles, with ketchup and Crystals hot sauce. Don’t forget a side of onion rings. Those onion rings are the best I’ve ever had. 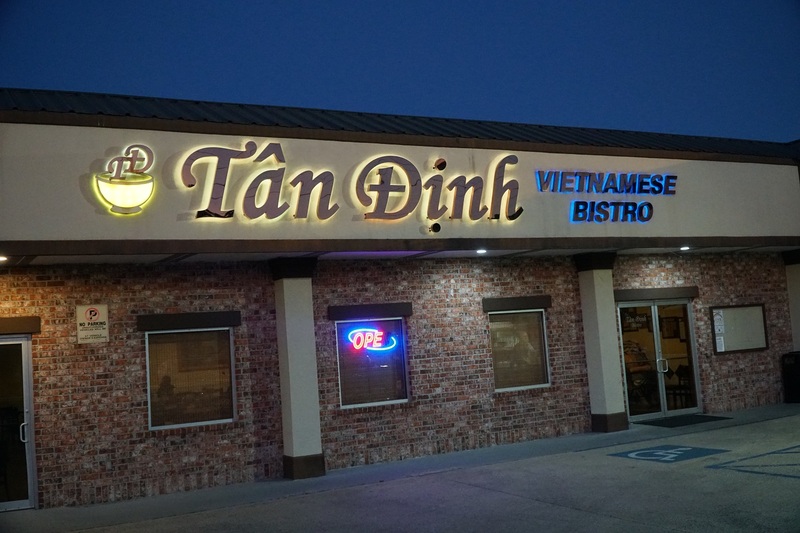 Vietnamese food has quickly become one of my favorite cuisines and there is no shortage of good Vietnamese eateries on the Westbank. But Tan Dinh, not only in my opinion, but in the opinion of many ethnic Vietnamese in the city and others, is one of the best. The Banh Mi is the Vietnamese version of the po-boy. In fact, the Banh Mi is a product of French Colonialism in Indochina, hence the french baguette. My favorite is the roast pork. It’s loaded with pickled cucumber, carrots, cilantro,and jalapeño. At Tan Dinh they make their own mayonnaise spread. For the less adventurous eater, have them hold the pâté. You should order a small bowl of Phở to start. Just the broth if you want. It’s delicious. Finish off your meal with Vietnamese coffee. I’m routinely asked about where you can get good Cuban food in the city. My answer rarely changes, “My parent’s kitchen.” There have been some good Cuban restaurants that come and go. There are non-Cuban places that offer “Cuban dishes” and even Cuban sandwiches. They’re good but it’s usually not traditional. 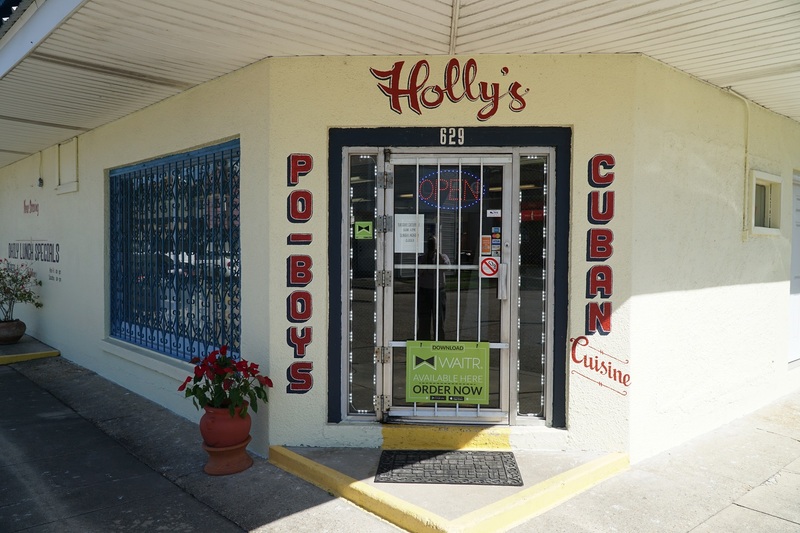 Holly’s offers some very traditional Cuban dishes including the Cuban sandwich. The key to a good Cuban sandwich is the bread. It’s not like traditional french bread. The main difference is Cuban bread is baked with lard which gives it a unique texture. The bread is sliced and lightly buttered. Add a coat of yellow mustard, roast pork, ham, swiss cheese, and pickles. Finally, it’s cooked on a sandwich press. If you visit Holly’s and they have Medianoche Bread, order the Medianoche. It’s just like the Cuban except its on a yellow-colored egg bread, which is soft and sweet. Ok, why limit this to 3? Here are some other tasty sandwiches that you should try on the Westbank. LA 23 in Belle Chasse has some fantastic BBQ. The pulled pork and brisket sandwich are well worth the drive down HWY 23. I’ve always enjoyed the Roast Beef on Muffaletta bread from DiMartinos. It helps that its a short walk from my office. The roast beef po-boy at Chateau Orleans Po-boys is in Marrero is every bit as delicious. When you visit Chubbies for the Chicken breast po-boy, bring a friend and have them order the Shrimp po-boy and y’all share. Sahara Cafe has some of the best Lebanese food in town, not just on the Westbank, and the Gyro will not disappoint. Oh the sandwiches! Being limited to 3 just isn’t enough. Right? Options are great when it comes to food and options are NECESSARY when it comes to insurance. As an Independent insurance agency, Garcia Insurance Services represents many insurance companies. The benefit of working with an agency that has options for you is essential in ensuring that you get the right policy for you. Do you live on the Westbank (or anywhere in New Orleans) and feel like you are overpaying for your insurance or maybe not getting the service you deserve? We may not not be experts on sandwiches, but we know our stuff when it comes to insurance. Start your quote today. Next Post: “Wood” Termite Damage Be Covered By My Home Insurance?